If you asked me for my “favorite album of the year” a week ago, I would’ve bristled at the idea of putting one above all others. 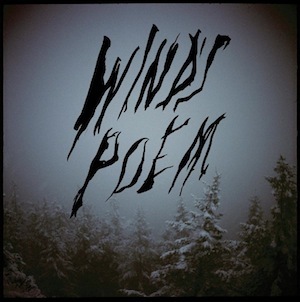 However, for the past two weeks I’ve been immersed in an album that has floored me in a way that hasn’t happened in a long time: Mount Eerie, Wind’s Poem. When I was younger, I was drawn to albums that I could relate to on a very personal level–music that seemed to finish my thoughts, shared my observations…in short, music as a friend. As I got older and my tastes expanded, it became less important for me to have a subjective connection with music. 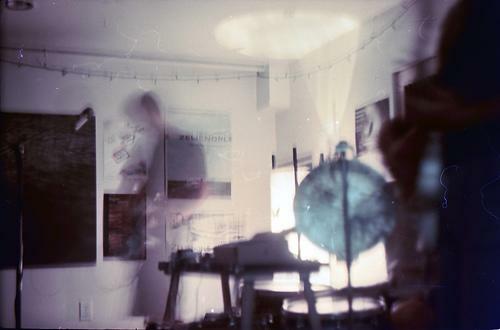 Maybe I’m too jaded, or maybe there are few rock records that I can relate to now, but Phil Elverum’s naturalistic pantheism approach to songwriting really struck a chord with me. It’s consumed me. I find myself flipping Wind’s Poem over and over, studying the artwork, following the lyric sheet, and humming the tunes throughout the day like a skinny pants-wearing fanboy. I don’t know the backstory on this album or much about Elverum’s previous output, so I come to the record without the rubbish I recently read on the Web about its supposed “Norwegian mythology” concept. To my ears, this seems to be an album about a place. I immediately conjured up images of the mysterious, temperate rainforest landscape of Washington’s Olympic Peninsula without being aware that Elverum resides in some small town in that state. His ability to create a sense of place is what makes this album so successful. Elverum’s keen nature metaphors in both lyrics and (more incredibly) with the music can only come from someone with a deep respect for the natural world and a profound comprehension of his place within it. This type of nature worship will undoubtedly make some eyes roll, but I’m a sucker for this kind of romanticism. Aesthetically, the blend of black metal and forest folk seems like it would be ridiculous but this dude makes it work without sounding like he’s stylistically hijacking one form or another. He doesn’t even really bother to synthesize the two sounds too much. The black metal songs–or parts of songs–stand on their own for the most part, which is a really nice extreme counterpart to the soft-focus folk songs. It’s like an album split between Xasthur and The Ivy Tree, but it’s clearly his own vision. LISTEN: Mount Eerie, "Ocean Roar"